After making the mega-successful summer blockbuster hit The Heat, Melissa McCarthy (the beloved Sookie St. James from Gilmore Girls and the hilarious Megan from Bridesmaids) came to Niagara Falls last month to film her next movie, a road comedy called Tammy. With the august Niagara Falls gracing the background, Ms. McCarthy, Sandra Oh, and Academy Award winners Susan Sarandon and Kathy Bates, filmed a scene from the observation deck at Niagara Falls State Park. Neither Ms. McCarthy nor Ms. Sarandon had seen the Falls before. Filming the movie there was a special treat for both. Written by Melissa McCarthy and her husband Ben Falcone, and directed by Mr. Falcone, Tammyis a comedy about a woman going on a road trip with her grandmother after losing her job and finding out that her husband has been unfaithful. Dan Ackroyd is also part of the talented cast. — John Percy, President of Niagara Tourism & Convention Corp. on having Tammy filming in the Niagara Falls area. Tim Clark, head of the Buffalo Niagara Film Commission, said about 120 crew members (approximately half was local), were working on the film last month. The production brought an economic boom to the Niagara Falls area. Tammy is scheduled to be released in the summer of 2014. If you’re interested in filming in the Niagara Falls area, visit the Buffalo-Niagara Film Commission. For information on filming in North Carolina, visit the North Carolina Film Office. We’re proud to share that both are Reel-Scout clients. Browse Niagara Falls’ film locations. Browse North Carolina’s film locations. 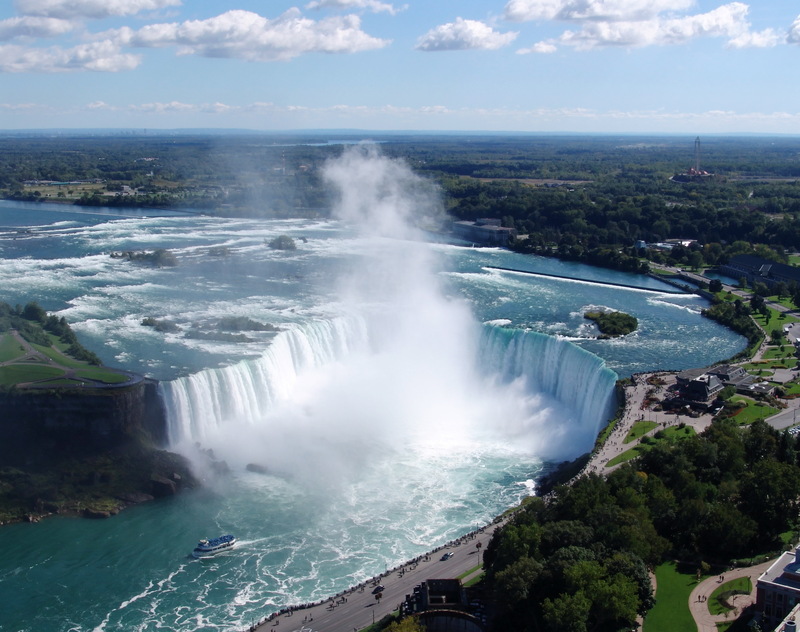 Image of Niagara Falls via Google.